Where do I begin? These two have a passion for loving each other. The way they look at each other reminds me of every heart-stopping, tear-jerking romantic love story! It’s the kind of love that will last beyond a lifetime. They share such a joy for life and all things vintage. Cori and Nathan both love the history and fashion of the 1920’s – 1940’s. 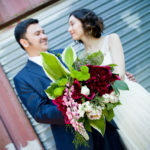 I could hardly believe that Cori found the most perfect vintage wedding dress! It was truly stunning and fit her like a glove! 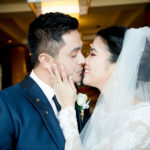 Their wedding was filled with color, love, and so much happiness! I loved every second of their beautiful wedding, and I am so happy to call them now dear friends! Wishing you so many adventures!